We’re at the Festival! Come and tell us what you really think about Crouch End’s town centre – are the streets fit for people? Are the roads for cars, buses or cycles? And what about the look of the place – do we want more trees, car-free piazze, pavement cafés and traditional shopfronts? On the verge of big changes to the urban realm we want your opinion. Meeting fellow Crouch Enders and gathering their thoughts, ideas, and insights into the neighbourhood is at the heart of what the Crouch End Neighbourhood Forum is about. 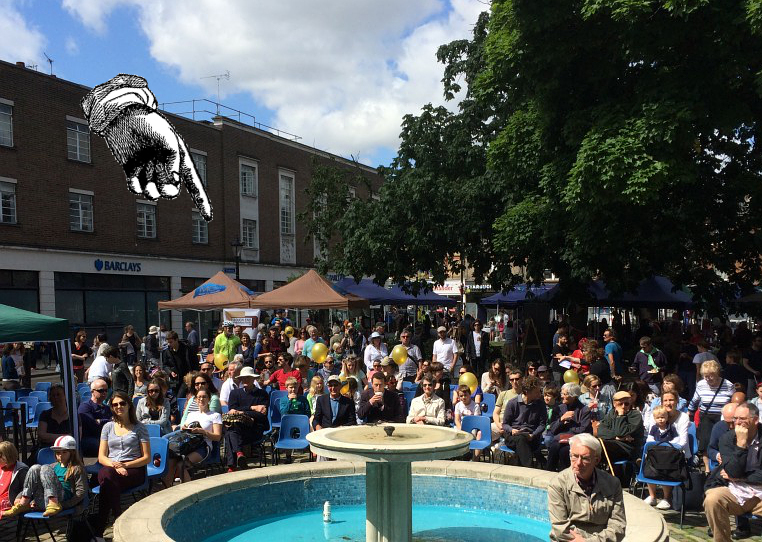 On Saturday 9th we’ll be running a stall in the Town Hall Square grabbing your attention with new and irresistible larks, and giving everyone opportunity to celebrate/grumble about* our beloved Crouch End. And don’t forget, new members are always welcome, no subscription necessary, and open to all. We now have over 1,500 people, local organisations and businesses on our list.